Getting into a top MBA program is no easy feat. Budding business school students must craft picture-perfect essays, résumés, recommendations and — if they survive the first cull — dazzle admissions committees in interviews. 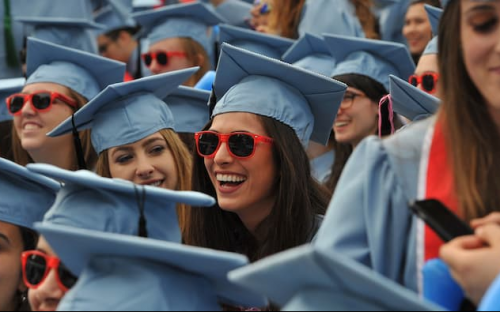 That’s kept average acceptance rates at the top 10 ranked schools by the Financial Times at a lowly 19.66% this past year, according to a BusinessBecause analysis. It has, however, gotten a little simpler over the years. Business schools are streamlining their application processes with technology as they strive to target Generation Y, or Millennials — market jargon for a 20-something. “MBA programs are courting Millennials, who have short attention spans and a propensity for not beating about the bush,” says Chioma Isiadinso, chief executive of admissions consultancy Expartus and former assistant director of admissions at Harvard Business School. This year at Georgetown’s McDonough School of Business, applicants will submit a one-minute video introducing themselves to their potential cohort. “The admissions process can become so anxiety-ridden that we forget it should be enjoyable. We’ve been trying to make our process as user-friendly and as fun and creative as we can,” says Katelyn Rosa Stephenson, assistant dean of MBA admissions. This is a departure from the focus on written work, which can be labour intensive. While the traditional essay is still an important component of a solid application, the mantra now is: “Less is more,” says Melissa Rapp, director of full-time admissions at the Kellogg School of Management. Kellogg has cut the number of written essays it requires from three to two, reduced the word count by a third to just 450 each, and introduced three video-essays. The hope is that these changes will slash applicants’ workload and spur more top-draw candidates to apply, say admissions consultants. The full-time MBA has arguably lost some of its lustre — figures from the Graduate Management Admissions Council show the number of GMAT entrance tests taken was 247,432 in 2014-15, compared with 265,613 in 2008-09. But it would be naïve to think the shift has made it any easier to get into business school. Now, would-be MBAs must grapple with technology as business schools tinker with new techniques, says admissions consultant Stacy Blackman. Applicants are expected to prepare Tweet-length descriptions of themselves, videos and PowerPoint presentations. And these are just a few examples of a wave of digital innovation in the admissions process, which is altering how business schools assess candidates. The buzzword now in adcoms is video-essay, which tests applicants in an unscripted environment and assesses their on-the-fly communication and presentation skills. At Toronto’s Rotman School of Management, for instance, applicants sign-in to an online portal and are given a question. After 60 seconds, their webcam begins to record for 90 seconds, during which they must deliver their response. Sheldon Dookeran, associate director, says the process lets the school’s gatekeepers see how candidates think on their feet. If that sounds daunting, don’t despair. Dan Bauer, CEO of admissions consultancy The MBA Exchange, says applicants should focus on the meat of their story — not how it’s delivered on screen. With a crystal clear view of a candidate, schools say they can better assess suit with an MBA program — something that cannot be evaluated through a résumé alone. Video tests let applicants tell a school more about themselves than they could through only written essays and recommendations, suggests Bruce DelMonico, director of admissions at Yale School of Management, where applicants have 90 seconds to respond to three pre-recorded questions each by video using a webcam. A polished video may even give applicants an edge over their competitors, suggests Georgetown’s Katelyn. She says: “If they submit a notable [video] essay, this may be the reason we bring them in for a face-to-face interview.” She notes that business schools can’t physically meet every applicant — tech is the answer. “It allows the entire admissions team to meet all of our applicants wherever they are in the world,” says Kellogg’s Melissa. It’ll at least lighten the workload — Kellogg got 4,300 applications last year alone. This is the reason that more business schools will jump on the tech bandwagon, as Expartus’ Chioma puts it. INSEAD, for instance, has just added a four-question video test for its 2017 intake, and also culled one required written essay, reducing the total to three. Would-be MBAs usually spend the summer months swotting entry exams, writing essays, and flattering potential referees. This year, however, they should get ready for their close-up. Technology is the new barrier to admission. MBA Admissions: What Is Africa’s Problem With The GMAT?